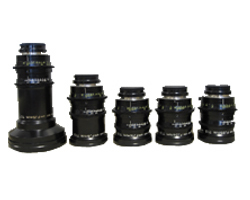 Saturnalia Productions offers Canon HD Prime Lens rental. Although we are based in Los Angeles, we ship around the world. Canon HD prime lens rental can include a Canon EJ 6mm prime lens, Canon EJ 10mm prime lens, Canon EJ 15mm prime lens, Canon EJ 24mm prime lens and Canon EJ 35mm prime lens. These Canon prime lenses can be separated and individually rented, on occassion.